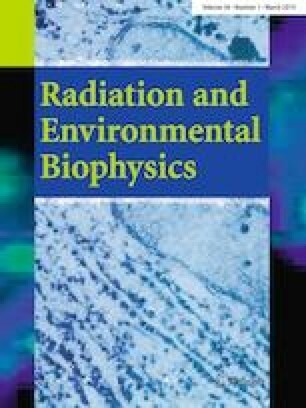 The aim of this study was to determine the uranium distribution and histopathological changes in broiler organs (kidney, liver, and brain) and muscle after 7 days of contamination with high doses of uranyl nitrate hexahydrate (UN), and the protective efficiency of three different mineral adsorbents (organobentonite, organozeolite, and sepiolite). During the 7 days, the UN administration was 50 mg per day, and administration of adsorbents was 2 g per day immediately after UN. In control group where broilers received only UN, histopathological changes such as necrosis of intestinal villi, oedema, vacuolisation and abruption of epithelial cells in renal tubules, oedema and vacuolisation of the cytoplasm of hepatocytes, and dystrophic changes in the neurons of the medulla oblongata were observed. In contrast, when the adsorbents organobentonite, organozeolite, and sepiolite were administered, no histopathological changes were observed in liver and brain. The investigated adsorbents showed the highest protective effects in liver (80–92%), compared to the kidney (77–86%), brain (37–64%), and meat (31–63%). This paper was part of the projects “Development of technology and products based on mineral raw materials and biomass for protecting the food resources” (No. TR31003) and “Development of technological processes for obtaining of ecological materials based on non-metallic minerals” (No. TR034013) financed by the Ministry of Education, Science and Technological Development of the Republic of Serbia (2011–2019). Al authors declare that they have no conflict of interest.